As a new emerging trend, social Customer Relationship Management (social CRM) can be defined as the business practice of promoting voluntary customer engagement activities driven by social media into the value creation process in order to build long-term co-beneficial relationships with target customers as the ultimate end-goal of customer relationship management. Following the spirit of social CRM, this chapter is intended to propose conceptual guidelines for the design of effective relational integrated marketing communications strategies, including message and media strategies, with particular focus on the promotion of opinion leaders' voluntary engaged efforts with others in a typical social network setting. By implanting the power of social media in relational integrated marketing communications strategies, marketers are able to put the “relationship” back into CRM in order to restore its true meaning – building better long-term relationships with customers. As a new emerging trend, social customer relationship management (social CRM) can be defined as the business practice of promoting voluntary customer engagement activities driven by a mix of social media into the value creation process to build long-term co-beneficial relationships with target customers under the umbrella of customer relationship management (see Yoon & Sims, 2013, in press). The opening of this new field is possible since social media have paved new ways that allow target customers to create user-generated content across multiple platforms, to build their personal social networks through rich interactive experiences with others, and to build better relationships with the firm using two-way communication channels (Hennig-Thurau et al., 2010). With the widespread adoption of social media, it becomes imperative for firms to capitalize on the benefits of social media for building and managing better long-term relationships with customers, along with improving financial performance, such as social return on investment. Even with lots of marketers’ attention on successful relationship-building processes however, there has been a lack of marketers making concrete alignment between the relationship-building process and integrated marketing communications practices from a relational integrated marketing communications (IMC) perspective. As expected, social CRM practices should start with the implementation of detailed relational communication processes to encourage voluntary engagement of target customers—specifically, those who are opinion leaders—into the value creation process as the core of any CRM practice (Boulding et al., 2005; Payne & Frow, 2005). Consequently, it is necessary to re-conceptualize the role of relational IMC practices in the relationship-building process under the umbrella of social CRM, which capitalizes on the power of social media to create better interactive experiences. 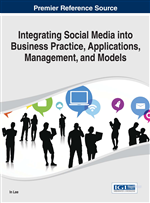 Thus, following the spirit of social CRM, this book chapter proposes a conceptual framework which allows marketers to design effective relational IMC strategies, including message and media strategies, especially relying on the voluntary engaged efforts of opinion leaders driven by social media in any social network setting. A key feature of our proposed conceptual guidelines is as follows: By implanting the power of social media in relational IMC strategies, marketers are able to put the ‘relationship’ back into the true meaning of CRM since the locus of any CRM practice is on building better relationships with customers. As one major tenant, this book chapter first uses the Model of Consumer Dynamics in Status (MCDS) which accounts for consumer heterogeneity in the customer life cycle (Yoon & Kang, 2011; Yoon & Sims, 2013, in press). Accounting for consumer heterogeneity in marketing implies that marketers will engage in a personalization or customization efforts to meet the unmet needs of individual target customers. Consequently, marketers are able to design and implement a personalized relationship-building process depending on the unique life cycle patterns of individual customers. Second, we utilize the Integrated Communication Process Model which incorporates mass media and interpersonal communication channels—especially using social media—occurring between marketers, opinion leaders and opinion seekers as social entities in any social network (Yoon & Sims, 2013, in press). Given the two-way interactive IMC channels, firms especially consider how to promote the voluntary engaged activities of opinion leaders—such as word-of-mouth, referral, recommendation, reviewing activities, and so on—as manifestations of customer social engagement in social networks. In addition, social CRM allows marketers to reshape the current direction of IMC from a relational perspective.